There’s something I’ve been meaning to talk to you about for a while now. It’s been on my mind quite a bit lately, and I think you and I need to address it. This isn’t something that’s easy for me to say—in fact, it hurts to have to say it. But if I’m honest I have to admit that sometimes it feels like I’m the only one who really cares about our tag team. You’ve just been so checked out recently, I don’t know what to do. I’m sitting here wondering if you even still enjoy double-choke-slamming an opponent to the mat. I used to think we had the perfect tag team. Remember when we’d hold hands as we delivered a brutal clothesline? Remember when we’d exchange a single glance and somehow, without me even saying a word, you’d know I wanted you to distract the ref so I could smash a ladder over Mojo Rawley’s head? The happiest day of my life was when our entrance music played and we walked down that aisle to the ring and stood beside each other in front of all our fans to be crowned WWE SmackDown tag team champions. I’ll never forget those good times. But we’ve hit some bumps in the road lately, haven’t we, like when the Headbangers launched us across the ring at each other and knocked us unconscious. We swore we’d massacre all our enemies on Raw and reach the top again. Well, a tag team partnership takes work, and if we’re going to hunt down those punks and make them beg for mercy, I need to know you’re going to be there for me. It’s gotten to the point where I’m not even sure you’re listening to me when I ask you to tag me out. It’s as if you don’t notice when I’m locked in an arm bar or taking an elbow from the top rope. Then there was the time Fandango pulled me across the mat by my hair during Elimination Chamber 2017. Sure, you tagged me, but then you entered the ring mumbling under your breath like it was a big chore or something. And you still haven’t apologized for accidentally bashing me across the back with a folding chair. Do you know how much that hurt me? If you truly cared about this tag team, I wouldn’t have to ask for your help every time I’m trying to catapult a 350-pound man over the turnbuckle and onto the arena floor. You’d just be there for me. You used to know that. 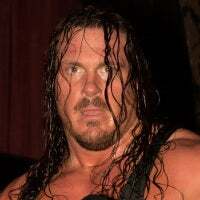 When I have Big Cass’ head locked between my knees, ready to finish him off with my signature Rhyno Driver, I shouldn’t have to tell you five times to grab his legs so we can slam his head into the mat as hard as possible. I want to make this a strong, healthy tag team, one where we stand by each other when the going gets tough, where we have each other’s backs, where one of us is there with an illegal eye gouge when the other is about to pass out from a sleeper hold. I try to be that person for you, and I want you to be that person for me. It takes two to execute an aided leapfrog body guillotine, you know. We’ve given so much of ourselves to this tag team that I’d hate for us to throw it all away. I can see a future for us, I really can. I can see us at WrestleMania 34 and next year’s Survivor Series and Royal Rumble. If we stick together, we can drop-kick and suplex our way through every pathetic, weakling adversary we face. But if that’s not something you’re willing to do, then I guess there’s nothing more to say. Maybe I’d just be better off with the Miz.